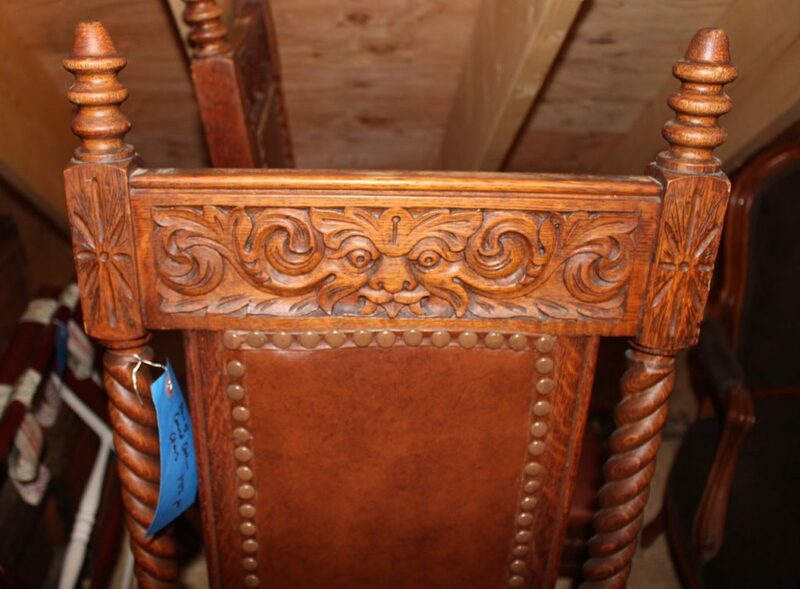 This pair of antique carved oak side chairs features “gargoyle” or “northwind” carvings with paw feet & leather seats. 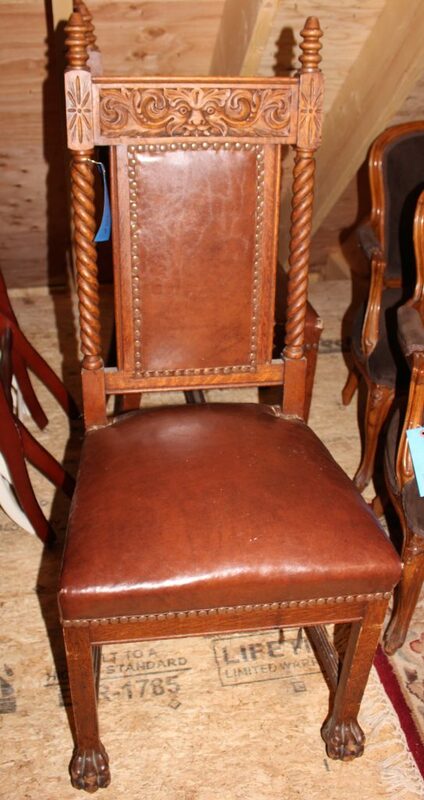 Excellent, usable condition. Priced as a pair.